If you are looking for an exceptionally wonderful Greek restaurant in New York please stop by Molyvos. We love Greek food and every time we go to New York we try to expand our horizons and try out different ethnic restaurants. Molyvos is Greek food with an amazing wine list from all over Greece. We had a wonderful dinner! My husband had some of the best lamb chops for his meal and I had an amazing chicken dill soup with a side of everything bean salad. 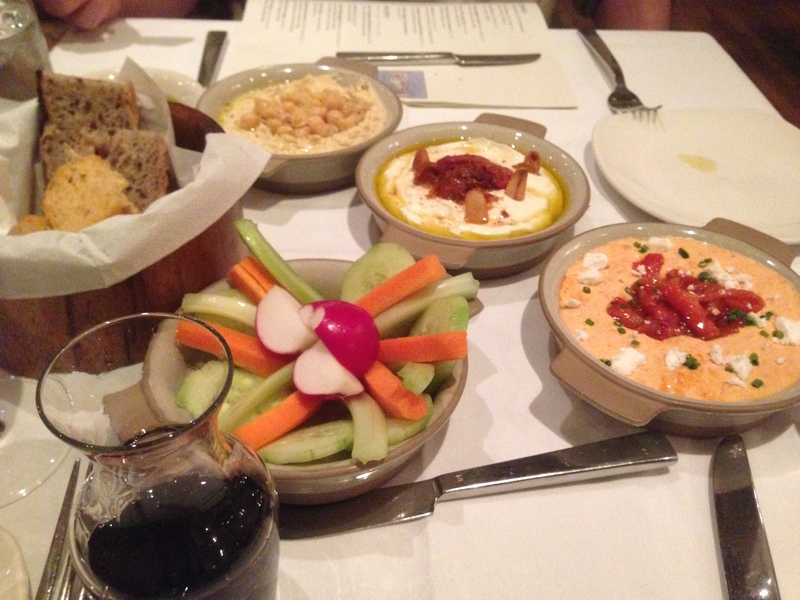 We went a little overboard to start our meal with some very good Greek wine and an array of hummus and sheep’s milk cheese for a starter. I was full before we decided what we wanted for dinner! Try it out next time you are in NYC, I promise you will not be disappointed! Enjoy the day! Happy first day of Spring!! ← Zella Wish List for Spring!